On the 14 July 2016 Google product management senior director Pali Bhat was celebrating their win over Apple and Samsung with their Android Pay service. It was launch day for Android Pay and while Apple and Samsung launched with two financial institutions in Australia, Android Pay launched with 28. What you may not know is who was responsible for getting those additional 26 institutions ready to go on launch day. Ever heard of Cuscal? Unless you have worked in the financial services industry, chances are you have never heard of Cuscal. But, expect that to change. These guys are introducing real change to the way real-time and mobile financial transactions are done in Australia. Cuscal is Australia’s leading independent provider of payment solutions. They work behind the scenes using their expertise and scale to help existing companies grow and new companies enter the market and compete toe-to-toe with the big four banks. Cuscal has evolved its strategic direction to become a leader in the payments industry. Where traditionally Cuscal focused on providing lending services to building societies and credit unions, the company today is rapidly innovating around real-time payments and payment transactions. There is a need in Australia’s financial services industry for more technology horsepower outside of the ‘big four’ and Cuscal is bringing it. But, Who Cares About Android Pay? Most people have an iPhone anyway, right? Well, I thought this was the case, but after talking to Timothy Lee and Greg Oris, both Mobile Payment Product Managers at Cuscal, I got to see the bigger picture. It seems to be working. Cuscal now has 39 clients using their Android Pay solution since the July 2016 launch with Google. Most of Cuscal’s clients don’t have their own development teams. So, what they need are turnkey solutions that are on point and ready to deploy. This is where Product Management comes into its own at Cuscal. They ensure requirements are gathered, deliverables prioritised and customer feedback loops established. This gets new innovations into the market quickly for validation and iteration. Now, some might say that product management didn’t really innovate much with Android Pay and that Google had already defined the offering. This is true, but where great product management makes a difference is deciding what goes into the solution, when it goes in and what stays out. This is where Cuscal’s product management team directed its focus. Lots of market research qualified how to get the most valuable solution to market on time which delivered what the market most needed– not what the Android Pay protocol could accommodate. 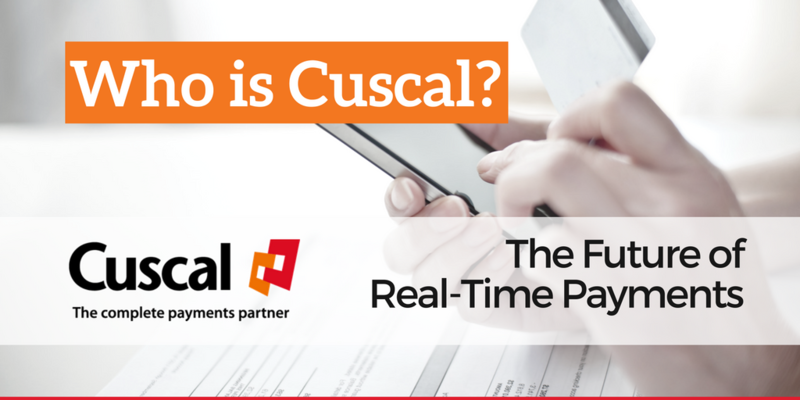 Cuscal is also making traction in their quest to be the market leader in real-time payments. Their efforts over the last few months have demonstrated they have the mettle to deliver on that vision. It will take a constant flow of innovation from within. But the battle is half won because of their deep investment in product management processes and resources. That’s where I think the real difference will come – and in turn will create a competitive advantage. Cuscal is such a passionate supporter of product management they chose to be a proud sponsor of Leading the Product 2016. This year, every conference attendee will receive a complimentary copy of Dan Olsen’s book The Lean Product Playbook thanks to Cuscal. Nice one guys. You can follow Cuscal on LinkedIn to see the latest innovation news and announcements on upcoming career opportunities. Also, why not check out the 1 minute intro to Cuscal here. Going to Leading the Product? Have you booked your ticket to Leading the Product? Hurry, places are filling fast.